Carrie Koffman teaches at The Hartt School and at the Yale School of Music. Prior to this, she held positions as Assistant Professor of Saxophone at Penn State University, the University of New Mexico, and taught at Boston University. She has performed as a soloist and chamber musician throughout 26 states, 12 countries, and on five continents. 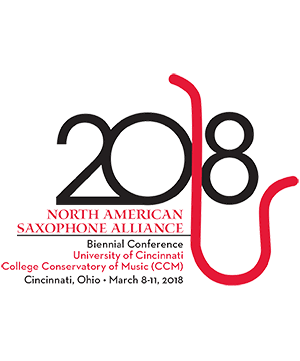 One review in Fanfare Magazine calls her playing “suave, subtly nuanced, and technically secure in its every gesture,” while another refers to her “melting tone and touching sensitivity.” Her saxophone students have placed in over 100 performance competitions including winning 19 university concerto competitions at four different universities. Koffman holds a bachelors degree from the University of Michigan and a masters degree from the University of North Texas. Koffman is a certified Kripalu Yoga Teacher and teaches Yoga for Performers. She is also a Conn-Selmer artist/clinician, and performs exclusively on Selmer Paris saxophones. The contemporary chamber ensemble The Irrelevants are saxophonist Carrie Koffman and violist Tim Deighton. Their collaboration began in 2002 as the result of their curiosity about the sonic possibilities created by their instrumental combination. 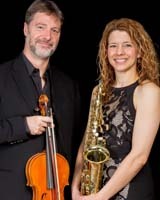 They believe they have discovered a unique vehicle with which to contribute to the development of innovative repertoire, and have performed throughout the United States, New Zealand and in Italy, including appearances at the World Saxophone Congress and the International Viola Congress. Their venues range from academic institutions and new music festivals to community chamber music series. They have commissioned and premiered 19 new works and have recorded a CD entitled Dialogues. Tim Deighton Viola Tim Deighton is professor of viola at Penn State University. He has performed as soloist and c . . .